It showcases all the relevant options for innovation. The best ways of business model innovation are explained. 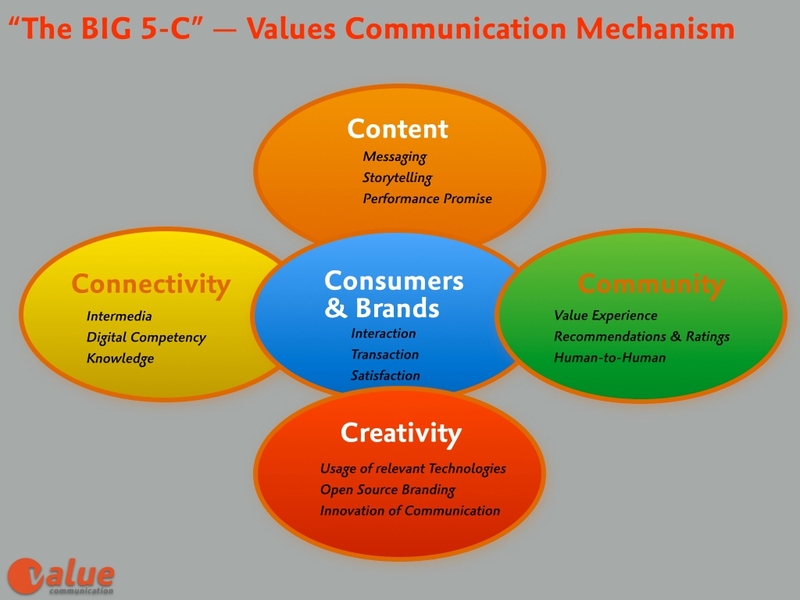 The role of valuable business communication is re-defined. Established industries, especially the printing & publishing business, fail at sticking to earlier success factors. Cross-cutting technologies that produced by the Internet age, do the rest and put previous economic principles cease to have effect. Monopolistic technology owned by expensive expert tools and expert circles (editorial teams) can not make the usual success. Technology innovations are important, but don’t guarantee per se a profitable growth anymore. Technology usage competence and an anticipatory understanding of developments in the market even more. Needs have become the measure of all things. The aim must always be to revolutionize industries and markets! Technology and process innovation: Something old replaced with something new for higher efficiency and increased productivity. Product innovation: new products to offer to increase sales. Functional area-innovation: in marketing, sales to improve the value chain architecture. But who nowadays wants to achieve sustained profitable growth, must lift “Strategic Innovation“ to change the basic structure of a business. This novel, too rare form of so-called “business model innovation” gives advantage in the market, advantages through differentiation from competitors through to positioning as a leader. Option 1 and 2 are dedicated to vendors of digital goods. They are able to deliver (almost) for free to their customers in the Internet and Telecommunications-based industries; because they act without (almost) zero transport costs within seconds. And they have always the possibility to select customer groups to offer products or services for free even to attract prospects. This is spurred by the high cross-linking and network ability of digital offerings. 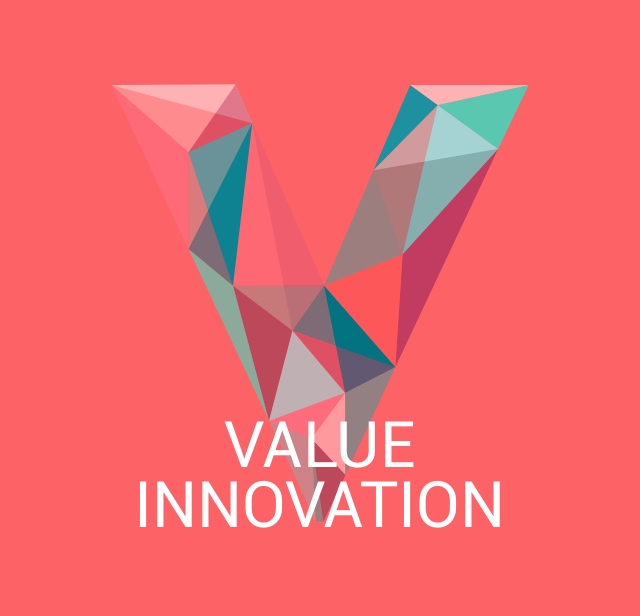 Option 3, Value Innovation is relevant when certain customers or suppliers groups can no longer be serviced timely and satisfactory. Value Innovation relies on the valuable communication of the change of a value through an innovative, solid and serious value proposition (better expressed: “Valuable Performance Promise”). Only in this way novel, latently existing market needs & demands can be satisfied. Value Innovation need not necessarily have a fundamentally new value chain structure. For existing products / services to new customer groups are offered, which are derived with respect to regular customers a completely different benefit for themselves. All established businesses, primarily the printing & publishing industry can ensure their survival, if it uses the strategic and supporting principles of “Value Innovation” and brought to life by high-value communications solutions. Anyone interested in the details for Value Innovation, can contact the author Andreas Weber. If you would like to send news for consideration for the Graphic Repro On-line Website (ISSN 1814-2915) or to submit comments, please e-mail Mike Hilton at:graphicrepro.za@gmail.com. GraphicRepro.Net e-News (ISSN 1814-2923) provides weekly updates from the Graphic Repro On-line Website and is compiled and published by Mike Hilton,graphicrepro.net, PO Box 10 Peterburgskoe Shosse 13/1, 196605 Pushkin 5, St. Petersburg, Russia. Welcome to another roundup of news for the past week, together with Laurel Brunner’s latest Verdigris environmental Blog, and a couple of nice new additions in Online Features: from Heidelberg with Hartmann in Spain, as they celebrate 50 years of co-operation with increasing success as the Spanish market as investment in new kit picks up once more. From Pim Print in The Netherlands with Callas Software; and from Muller Martini in Leipzig, where the Mönch bookbindery now stitches thread-sewn books with shorter signatures using the Ventura MC sewing machine with the Tween option, instead of by hand, for which it was renowned for many years. As to be expected, you will also find half-a-dozen of the latest FESPA Digital-related announcements in our FESPA Newsroom, including the latest product launches from Screen and Xeikon. Although it was a short week again this week due to the Easter long weekend, there have been a number of important announcements, both locally and elsewhere. On Tuesday and Wednesday, Interpack 2014, which takes place from 8 – 14 May in Düsseldorf, took the lead with major announcements from Esko with packaging preproduction to address today’s brand needs; and HP Indigo with digital printing solutions for folding carton, flexible packaging, labels and corrugated packaging applications. On Wednesday and Friday you will also find the latest relating to the Xeikon Café Packaging Innovations event in Lier, Belgium, taking place from Tuesday 20 to Thursday 22 May. On Wednesday, KBA announced that experienced restructuring expert, Dr Andreas Plesske, has been appointed to its management board with responsibility for the group’s realignment programme. Thursday’s headlines were led by Screen, which has appointed Ipex Machinery in Johannesburg as its Southern Africa reseller for the complete range of Screen Truepress Jet digital inkjet presses and printers. This is a superb fit in the Ipex Machinery portfolio, which already includes Hunkeler among many others, and which are complementary to Screen’s high-speed inkjet presses. It will also equip Ipex to address the growing large-format flatbed, high-quality UV inkjet market as well with the Inca-manufactured Screen printer range. On Friday, Kodak announced a further major investment in a new and additional plate line for its Sonora process-free plates at its plant in Columbus, Georgia, in the United States. This follows the announcement in early March of similar investments in both Osterode, Germany, and at its Xiamen, China plant. Also on Friday, UPM Raflatac announced a EUR 13 million investment in new production capacity for filmic labelstock, and a restructure of its sheet labelstock production in Europe. A whole selection of nice sales and installations again this week: on Tuesday from EFI, and from Heidelberg with Linoprint digital; also from KBA with an eight-colour Rapida 105. On Wednesday from Heidelberg UK with a Speedmaster CX 102 five-colour press with coater; from Epson with its first digital inkjet label press for Scotland; and Callas Software with pdfToolbox Server. On Thursday, from Heidelberg UK again, with a thermal CTP Suprasetter; and then Polar, as an Austrian bookbindery extends its cutting capacity with a high-speed Polar N 137 Plus cutter. On Friday, we have Muller Martini with the world’s first FlexLiner state-of-the-art inserting technology in Germany, to finish the week nicely. There’s a lot of new inkjet kit this week, particularly out of ISA International Sign Expo in Orlando, from EFI, Durst and HP, all with new or greatly enhanced inkjet printers, and also from SAi, all in the news on Friday, as well as from Epson on Thursday with debuts lined-up for Sign & Digital UK this coming week. Agfa Graphics will show its latest UV-curable wide-format inkjet printers at FESPA Digital; while Screen will debut the higher speed version of its Truepress Jet UV flatbed inkjet printer for the first time at FESPA in Munich next month. There’s more if you scroll down carefully, including an award for Ricoh on Thursday. The tailender this week goes to So-opak and a very enterprising lady by the name of Carol Jiang, who is the first ever to put her short-run offset printing packaging firm online, and which dazzled attendees at the SIAL Canada 2014 show held in Montreal earlier this month. You’ll find it in the news on Tuesday, with some stunning examples of what they are doing! I think that’s about it again for this week, so until next time. The Callas pdfToolbox Server, isn’t that the workflow package that is especially suitable for larger companies?.. Relevant Breaking News for Print & Graphic Arts on a global level. 1. drupa 2012 was a milestone for the future of print. 2. Most of the points we identified in 2012 are still valid! 3. Print Buyers# needs were not yet fulfilled. Heidelberger Druckmaschinen set important accents: The booth in Hall 1 trumped with the installation of five real-printing facilities. Printed materials of all kinds were produced in real terms – from data processing to finished products. All necessary equipment had been specifically tested in advance to enable them to deliver top performance. Next to this it showed what hybrid productions can look like: Inkjet and offset printing in the mix, toner-based digital printing and offset printing in combination with online and mobile applications, as well as displaying significant perspectives and taking a futuristic look at “Printed Electronics” in the Innovation Center of the Heidelberg booth. It became apparent that print in the communications mix is extremely important, if not central in an indispensable role. Xerox made its mark in automated production in both commercial and packaging printing, as well as within the range of XMPie in cross-media approach. Particularly impressive at Xerox was the way it has created a way of bridging the gap from print to social media and cloud printing. Many others can also be named, and what could be seen with other exhibitors such as Canon, Konica Minolta, Ricoh, and Xeikon. Xeikon just stunned with its never-ending drive for innovation, which portrayed this relatively small player as an outstanding inventor. The drupa innovation park and lots of small ’Hot Shops’ impressed on around 130 stalls, with their innovations. My personal favorite – thanks to Bernd Zipper for the tip: cardolution from Vienna showed how it is able to integrate RFID chips into cardboard and offer NFC Business Cards for everyone. The chip transmits the address information from printed business cards correctly onto smartphones. In this sense, drupa 2012 was a great success, marked by a few dozen prominent exhibitors who could prove that print has an unbroken power of innovation. Small drawback: The papermakers were barely visible. This is a shame. Sappi was as a premium brand, for example, represented by three smaller stands, but it was not clear what Sappi’s added-value drupa message was. The same goes for digital printing paper market leader Mondi. There was a presence at drupa, but probably more devoted to the contact to technology developers instead to the market of buyers. The exception was UPM in Hall 6, which focused its presentations and displays on both commercial and newspaper customers, as well as the end-user with a very strong environmental message added. It is amazing and worthy of consideration, because this has been at drupa on this scale never before: The number of members of the press has declined by about 3,000 from 84 countries in the year 2008 to 2,400 from 75 countries in 2012. This is followed by the number of members of the press exactly the trend of sharp decline in visitors (minus 20 percent compared to 2008). Regardless of whether the media coverage of drupa 2012, quantitatively or qualitatively, have been better or worse, the reason should be scrutinized. Because traditionally it was always important for a drupa, to include professional competence as a media partner. It appeared however that press tasks are redefined, and in fact the view of many exhibitors will be to use trade magazines only to serve as a PR platform for exhibitors and their trade fair offers. Journalists are in short supply and tend to be stylized as claqueurs. The trade fair Drupa Daily newspaper also reflects this again, because as of Haymarket on behalf of Messe Düsseldorf in the circadian rhythm-driven, advertising-funded print and online project, everything was worked up, that happened during the drupa 2012. But what could be the added value if the day’s events have been rumoured — and nothing more? In addition, all that was relevant was made via Twitter and / or YouTube by major exhibitors and analysts immediately publicize themselves. And of course, concise comments. For visitors and decision makers this could offer enormous advantages, since one could learn just about Twitter quickly and concisely in a direct digital path. Provided you know how it works! Talking digital: The drupa app for smartphones and iPad by Messe Düsseldorf disappointed, because only simple queries were possible, and it delivered no added value compared to the printed exhibition catalogue. That could have been done much better with a little extra effort. A great step forward — Technology vendors are publishers and broadcasters in one! A new feature with signal effect: Canon Switzerland produced on behalf of Canon Europe, a whole series of world-class professional interviews, created in high-quality TV style of its own Canon web-TV team. Very well done! Compliment! HP, Konica Minolta, Xerox, and Landa, newcomers, as well as many other smaller exhibitors demonstrated as well, their social media power. A visit to press conferences at drupa was thus in principle obsolete. What was presented at a conference for the representatives of the press was, at the same moment of the conference, published by the press conference organizers themselves on the web. To attend press conferences is only worthwhile, therefore, if you made a point to be entertained in an intelligent way, such as EFI CEO Guy Gecht did, or wondering / annoyed by Kodak CEO Antonio Perez, whose arrogant appearance, where self-perception and reality seems to collide with his company. An inevitable effect: Those drupa exhibitors who publish multimedia self-invest none or hardly any money in professional advertising. The advertising revenues presented have so far been the main source of of income for specialist media publishers. This may explain why the number of press representatives declined so much. Many print journalists are really annoyed about the digital competition and keep Twitter & Co. for the devil. And drupa exhibitors have (still) not demonstrated that they can use social media effectively in the interests of customers and prospects. Too many use Twitter, for example, to take over their PR agencies, the ghost-writing on Twitter. The result is product-related communications push content. But Twitter users are interested in smart conversations — they don‘t like push-PR messages very much. Unexpectedly, was not the sharp drop in visitors and media representatives at drupa 2012. Messe Düsseldorf had indicated in advance that around 350,000 and is no longer, as once expected, the nearly 400,000 visitors. And it was hoped that from the Far East, and especially from China, that many new visitors would come from this region but there were “only” just over 310,000 visitors (the exhibitor staff, journalists, VIP’s not included). Many exhibitors were upset. They said that a record number of visitors is less important. More important is to get the right visitors to come, i.e. the decision makers and prospective buyers from the graphic arts markets. This has worked. Sales exceeded some expectations. All in all, sales revenues in the region of 2 to 2.5 billion EURO are likely to be implemented at, or immediately following drupa 2012.
drupa Was the drupa 2012 a success or not? The answer is yes and no at the same time! Yes, because it was found that innovation lies in the printing and paper technology development. No, because the efficacy was limited to the drupa industry insider. For more than a decade it has become clear that the fate of the printing and paper industry is no longer decided by printing and paper specialists, but by their customers and the market players in the online world. If they lock them out at drupa, the pace of innovation and adaptation in the communications market will weigh too rapidly from print. A look at the bigger picture beyond would have been useful — but remained well below or were not properly pursued. This show other important German trade fairs such as the automotive mega-show, IAA, or the Frankfurt Book Fair on exactly how to permanently overtakes success: The industry participants are always there together: from makers, to visitors and customers of all kinds. This is exactly what was needed, but was omitted from the drupa 2012 in Dusseldorf. Too bad! It is regrettable, however, that the drupa 2012 was unable to fully exploit its potential. For many years drupa does not adequately represent important groups of visitors, especially the so-called “print buyers”, the principal of printers from agencies and enterprises / brands. Drupa 2012 should have been able to inspire and motivate a lot of print buyers, more than ever before. Documents can be this simple: I myself had a few dozen print buyers and decision makers come from agencies and businesses to drupa 2012 – for example, in cooperation with the GWA. GWA drupa special interest day on 9 May 2012. GWA is the leading agency association in Germany. Through the Bank’s enthusiasm for present agency employees was huge when they are properly involved. To get the right knowledge, what is at stake, and how to profit from technological innovations in the communications business. The exhibitors visited by GWA — Heidelberg, HP, Xerox and exhibitors and i. e. map specialist locr in the drupa innovation park had been well prepared and adjusted to the print buyer. HP GSB‘s global marketing director Francois Martin, it could be, for example, do not take to prove with facts and creative prime examples of how the marketing and brand benefits from digital printing productions. For example, when BBDO individualized for the client Smart in Paris, an out-of-home campaign with 2092 posters, it scored much attention and in less than 14 days had produced posters in the main streets of Paris. How can the fact matter that drupa 2012 was not an attraction point for agency and brand representatives on its own? The drupa cube was made by Messe Duesseldorf with daily events to major application issues. But the total of 1,000 participants or so in 13 days, presented in terms of the size of the communications industries employ was only a drop in the ocean. In Germany alone, nearly 800,000 professionals work as communications professionals. In this respect the drupa participation was in vanishingly small per thousand range. In addition, the carrier of drupa, led by the German Engineering Federation VDMA and the German print association groups have a very narrow focus: They address only techies and printers out of their memberships. They are not linked to the communication specialists in the market. Say the established contact structures are directed to those target groups, offering the classic technologies of printing and paper sector or common printing services. Welcome to another roundup of news for the past week, together with Laurel Brunner’s Verdigris Blog. Rather a short week this week, due to the Easter long weekend in most countries, and another short week ahead, too. Therefore, I shall also try keep it brief this time. Lots of good pre-FESPA news for this year’s Digital and Fabric events which take place in Munich from 20 to 23 May; as well as from Xeikon for its planned Xeikon Cafe on Packaging Innovations to be held at its premises in Lier, Belgium, at the same time – from 20 to 22 May. Then there’s Sign & Digital UK which takes place at the NEC, Birmingham, UK from 29 April until 1 May; Metpack in Essen, Germany from 6 to 10 May; and the really big one which many have been waiting for will be Interpack in Düsseldorf, Germany from 8 to 14 May. Don’t miss KBA and the Frog King leading the headlines on Wednesday! On the other side of the pond, International Sign Expo will also take place in Orlando from 23 to 23 April. In addition to the above, on Thursday, Muller Martini issued an invitation to attend its 50th anniversary Open House at its new web printing Print Technology Centre in Maulburg, Germany, on 6 and 7 May, so we have a very busy month ahead of us to look forward to in the Merry month of May!. And although it is a little more than two years away, you will find the latest article relating to drupa 2016 from Andreas Weber in our drupa 2016 Newsroom, featuring an exclusive talk with Sabine Geldermann, drupa’s new director at Messe Düsseldorf. Breaking news this week from EFI on Thursday, when the company revealed its latest financial results and a record first quarter, followed by its latest acquisition, in Europe for a change. On Tuesday, KBA subsidiary KBA-MePrint AG, announced the appointment of Sven Michael as its new CEO, and an internal promotion, which is always nice to hear. On Thursday, Sappi Europe SA announced the appointment of Stephen Blyth as its new Chief Financial Officer from 1 July 2014, and once again, a promotion from within. Another major announcement this week came from Kodak and Manroland Web Systems as they inked an Authorised Reseller Agreement for integrated high-speed Kodak Prosper S-Series inkjet systems, whereby Manroland Web Systems now offers inkjet upgrades and makes variable printing even more attractive and accessible for the newspaper market. Kodak Prosper S30 heads with Stream inkjet technology run at full web offset production speeds. You’ll find links to another four related articles in the announcements made on Thursday. As for the most recent sales and installations this week, don’t miss Screen on Monday with a Truepress Jet W1632UV in The Netherlands at Aelen & van Leeuwen; Screen again on Tuesday with a Truepress Jet 520 at Baumer AG in Switzerland; and then UKP Worldwide in the UK, with a Ricoh Pro C751 digital press. On Wednesday, Nela disclosed several recent installations for automated plate production systems for newspapers in Germany, Switzerland and Norway; and TG Print & Design in Woolwich Arsenal, London pushes into the ultra-high quality market with a LumeJet S200 inkless digital printing system. Newcastle, Australia print company WHO, has installed a new Heidelberg SX52 press; and Danish company Skanket has expanded its capacity with a second MPS EF UV flexo press. On Thursday to complete the week on a high note, Liverpool-based company S Barber is celebrating its 100th anniversary this year with the installation of a Heidelberg Speedmaster SX 74-5. In Online Features, you will also discover Pim Print in The Netherlands, which has successfully adopted the Callas pdfToolbox Server, the workflow package that some consider to be only suitable for larger companies. The tailender this week goes to Antalis South Africa (Monday), as the company scooped two awards from Kodak. The Outstanding Performance of Workflow Sales, and the Outstanding Performance Processless Plate Sales in the EAMER Region. The awards were presented to Ronnie Louw, Antalis’ regional manager Western Cape in Istanbul, Turkey. At the same event, Kodak also named Korozo as its first Certified Partner in Turkey, Middle East and Africa for Kodak Flexcel NX Plates. I think that’s about it for this week, so until next time. KBA remote maintenance is secure! The Callas pdfToolbox Server, isn’t that the workflow package that is especially suitable for larger companies?. In an email written on 24 October, 2010, Steve Jobs, legendary Apple CEO, put his finger on a crucial problem when he identified what he called the “innovation dilemma” and stated that adhering to old paradigms for too long can jeopardize entire companies. What does this imply for the traditional printing industry? How can it make the leap from its established market into the new (digital) world? An exciting starting point for a new take on the next drupa trade show. The innovation dilemma that bothered Steve Jobs at a time when Apple became one of the most valuable brands in the world, is already affecting the print industry – and its markets. Major flagship fairs such as the Print in Chicago and the IPEX, now in London, have fallen upon hard times. Fewer exhibitors, fewer visitors, less relevant public potential — despite the high innovative speed of the producers. The printing market and its customers seem reluctant to respond. Sluggish replacement investment and a general scepticism among German customers towards innovative products. Messe Düsseldorf has therefore decided to explore new avenues in order to establish the drupa as the flagship fair for the global printing and paper industry. All the more reason to have a Value Talk in the interval between drupa 2012 and drupa 2016. Central question: Quo vadis, drupa? “In turbulent times, a flagship fair like the drupa takes on a key role,“ Sabine Geldmann points out right at the start of our Value Talk. She was appointed drupa Director of Messe Düsseldorf at the beginning of 2012 and is responsible for the “Olympic Games of the printing and paper industry”. Her focus is not only on organising trade fairs, a skill which she learned from the bottom up. She also mines global visitor contacts and profiles for valuable market information. Since the beginning of 2014, information on global trends and intelligence on the industry are being documented by studies/reports. About 4,900 participants from three segments (Print Service Provider, Print Buyers, Suppliers) were selected, 2,600 of which are key executives from printing works, which is the main target group for now. The representative panel is comprised of members from 119 countries. …and an important benefit for drupa preparations. “As organisers of the drupa fair, our focus is on spotting new trends in order to identify solid quality developments on a global scale,“ Sabine Geldermann explains. The objective is not just to find a drupa concept and position that suits the market, but also to provide manufacturers with solid, topical facts, whether they attend as exhibitors or as visitors. 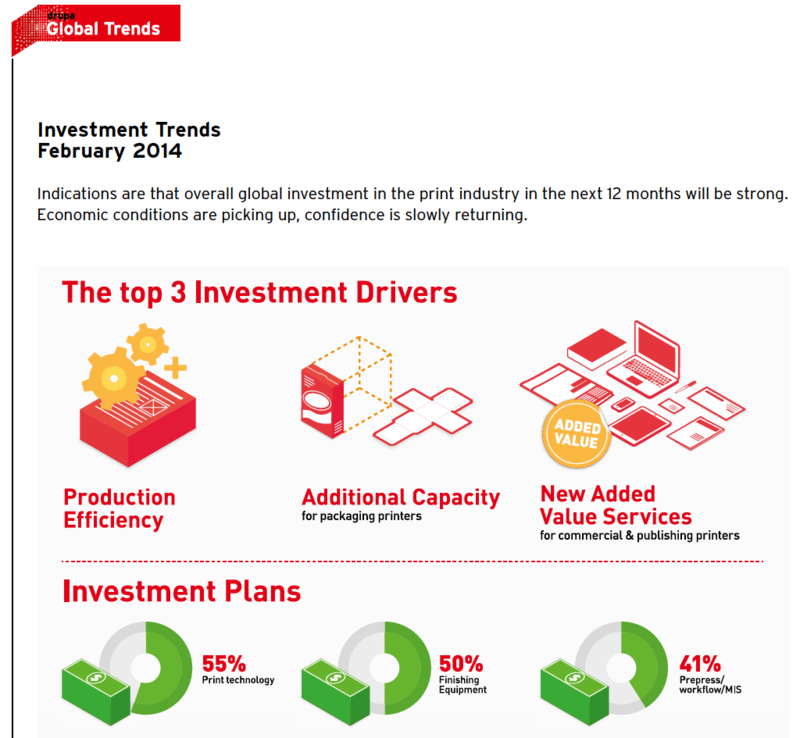 The preliminaries were established in February 2014, when the drupa Global Trend Report was issued. Updates will be carried out at the end of every year until 2016. 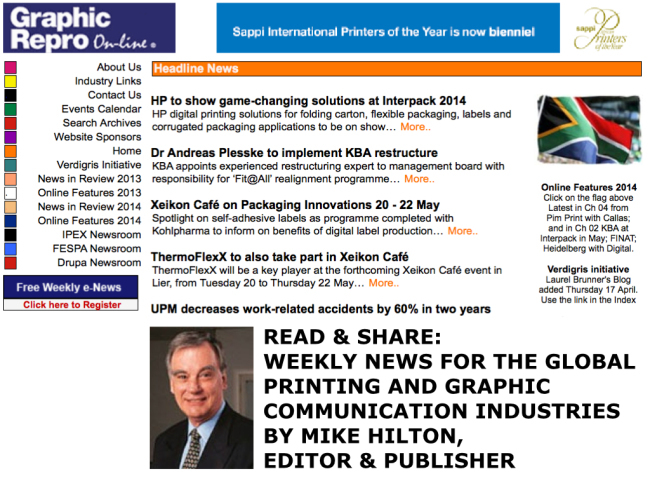 The Special Topical Focus will appear in the drupa Global Insights at six-monthly intervals. The results of these analyses will be widely distributed via digital channels such as social media, press mailing lists/specialist media, PDF summaries as web downloads and of course through word of mouth. These trend studies and analyses are innovative because “by providing information they also allow additional in-depth analyses”, Sabine Geldermann explains. This is possible because of the unique data structures that distinguish different regions, countries, specific target group profiles, market segments and many more from each other.“ The main focus is on the situation in printing works. Market trends can be identified and analysed with a quasi-microscopic view. National developments can be analysed in an international context – a major benefit as there are vast differences in the print business. 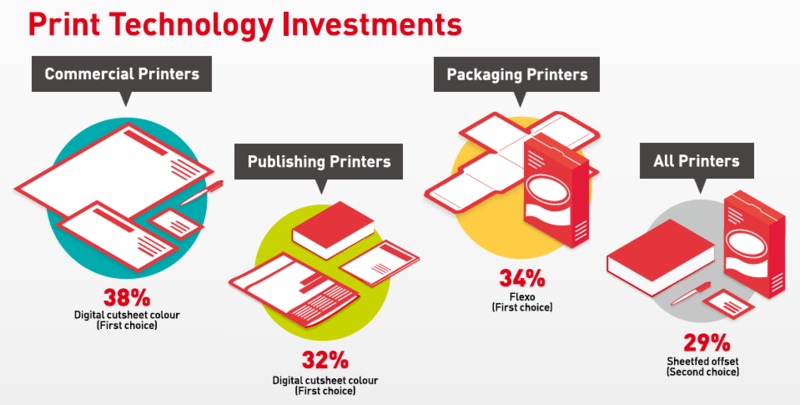 As expected, the results of the baseline measurement issued in the 1st drupa Global Trend Report are far from spectacular – apart from the prognosis that investments are on the increase. Many findings confirmed what was known already, be it from media reports or from several individual studies. 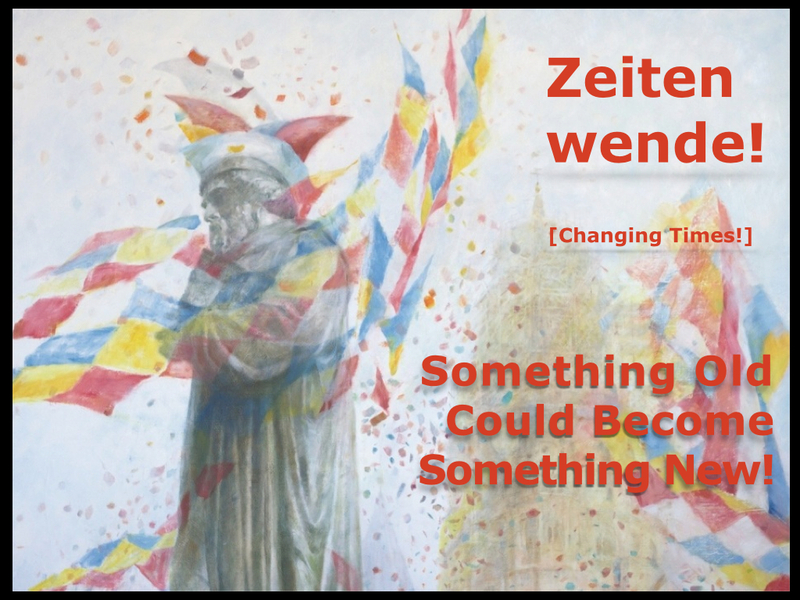 However, Sabine Geldermann and her team are more interested in creating a complete picture from individual pieces of the puzzle and systematically updating this picture at regular intervals. With its sixty-year old tradition, the drupa provides sufficient material to act as a reliable market, economic and investment barometer – and deliver the latest trends in technology and application. The agenda and activities of the drupa 2016 will be inspired by this exclusive compilation of market intelligence. “Because of structural changes and the ongoing market consolidation, we need to address not only our regular drupa audience but also find new target groups “, Sabine Geldermann explains. We need to act as a seismograph for these changes. In addition to printed publications, the digital communication channels provided by Messe Düsseldorf are of major importance for our publication efforts. The focus is on comprehensive interaction that yields measurable results after valid analysis. Because “we cannot know what we do not know”, the drupa needs to identify new target groups which are not or not fully informed about the technical benefits of current printing technology. Because the vast potential of printing technology is not known among key executives, it is not part of their “relevant set of options”. In fact, they often perceive the printing industry and printing works as anachronistic. There is a significant lack of knowledge among buyers and key executives from the marketing communication segment about the perfect interaction between printing, IT and web technology, (for example: the automated production of printed books from social media platforms). Only few people know that social media contents and printed media can be combined to create communication campaigns by means of digital printing. Communication on printing technology is as important as communication via print. Would it not make sense to host a virtual drupa as an internet communication and market platform in addition to the real event? This question is of particular interest as every segment of the industry will benefit from innovations in the printing industry? There is much potential for optimisation in the printing industry and room for more communication – this is an excellent opportunity for the drupa! 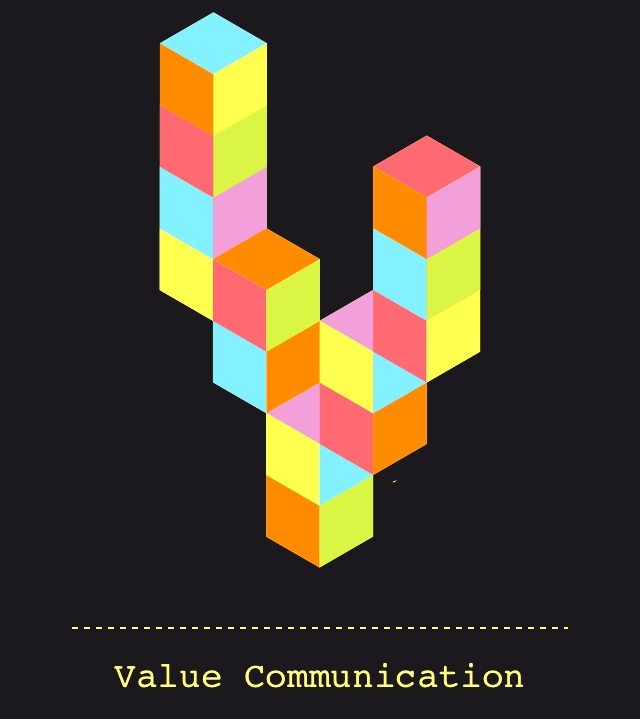 [See ValueCheck: Communication as a driving force for new business models]. Sabine Geldermann sees a special advantage in the fact that the products of the printing industry are widely used but also require a lot of information: printing works have an extremely heterogeneous customer base with very different target group profiles. The same applies to the service portfolio of printing works, which has to be highly innovative and specialised. The products of the printing industry will always be an indispensible and elementary part of our communication requirements, but printing service providers are no longer mere producers of printed matter, however they need to acquire better consultancy skills. Potential solutions include workflow architectures, variable data printing, finishing services, freight management/supply-chain services, response analysis and many more. major potential for the future! Sabine Geldermann is not worried by the increasingly exacting requirements faced by her customers: “Promoting the variety of the printing industry provides an exciting range of options: there is an incredible range of communication services provided to all industrial segments by the printing industry, even beyond its value-added chain. The printing industry is by no means finished or one-dimensional; it is expanding into all different levels of day-to-day life and business.“ Messe Düsseldorf’s preparatory work in the run-up to the drupa 2016 focuses on relevant facts and information which will promote the industry and its services and improve its presence in the virtual market so that it can be found easily – everywhere in the world. Sabine Geldermann explains the main objective of the drupa 2016 preparations: “We want to create publicity on the web by using devices such as blogs and effective tagging. This is the only way to draw the attention of new target groups to the important innovations provided by our exhibitors and their customers.“ A growing number of drupa exhibitors supports this approach to promote the awareness of the services provided by printing works among its customers. Agencies, marketing experts and brand companies are actually an important driving force and have to be involved more strongly. This means that all printing service providers that offer market-oriented, modern and networkable printing communication solutions must be easily found using Google. Descriptions and sampling of innovative applications during face-to-face presentations alone are not longer sufficient; the industry has to present or better still, permanently stage value enhancing factors and verifiable results in the media. Messe Düsseldorf has chosen a successful course which also benefits the printing industry: as flagship fair for the printing and paper industry, the drupa can only be successful and have a global effect if the issues and the exhibition agenda are perfectly synchronized with the specific situation of the visitors (and the exhibitors’ customers). The new trend analyses are an ideal communication tool for sustaining a qualified dialogue with market partners. Not only during the drupa but also in the run-up and in the wake of this major event! The printing industry has to think far outside the box. Many new businesses and companies that moved into the field from a different segment, e.g. those who deal with high-performance inkjet and/or variable data printing for industrial production, with organics or 3D/4D printing, cannot be counted as part of the printing segment in the strictest sense. But it is important to note: Effective communication about printing issues is necessary and the innovation-driven business of printing service providers must be publicized in order to create sufficient demand. There are clear signals for an economic upturn: over the next twelve months, all areas of the global printing industry, be it commercial, publishing or packaging, will make substantial investments. In the industrialized nations, the driving factors for this investment are the need for more efficiency and the introduction of new services. In this area, the US printing industry seems to have a certain leadership role or acts as a model. In emerging nations however, the investments are driven by the order volume. The printing industry is changing from a product- or technology-driven to a service-driven industry. The latest trends are new solutions and business models that accommodate customer requirements. As expected, digital printing plays a major role in the technology mix that is used by the printing industry. 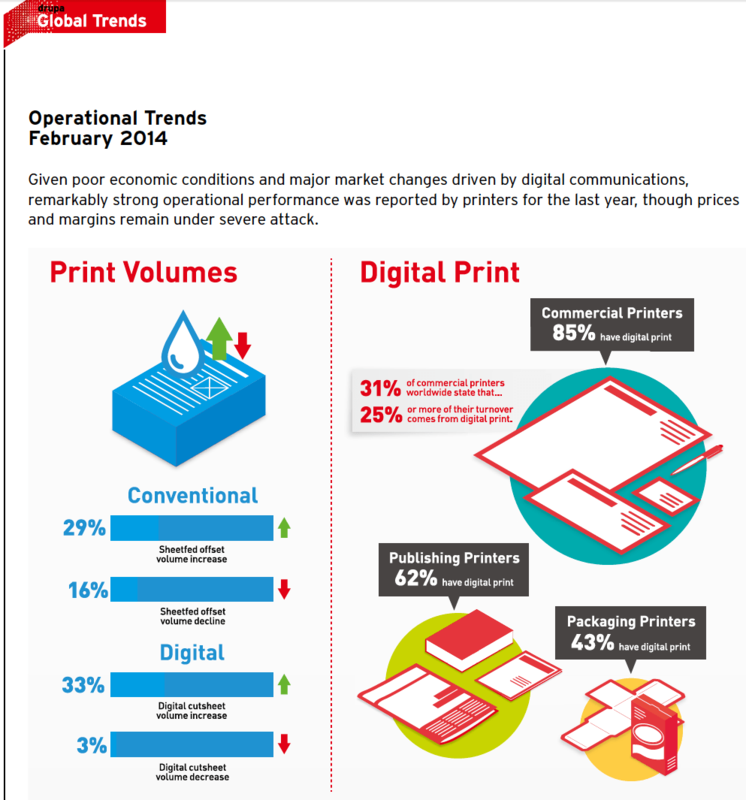 A total of 65 % of all printing service providers operate conventional as well as digital production. 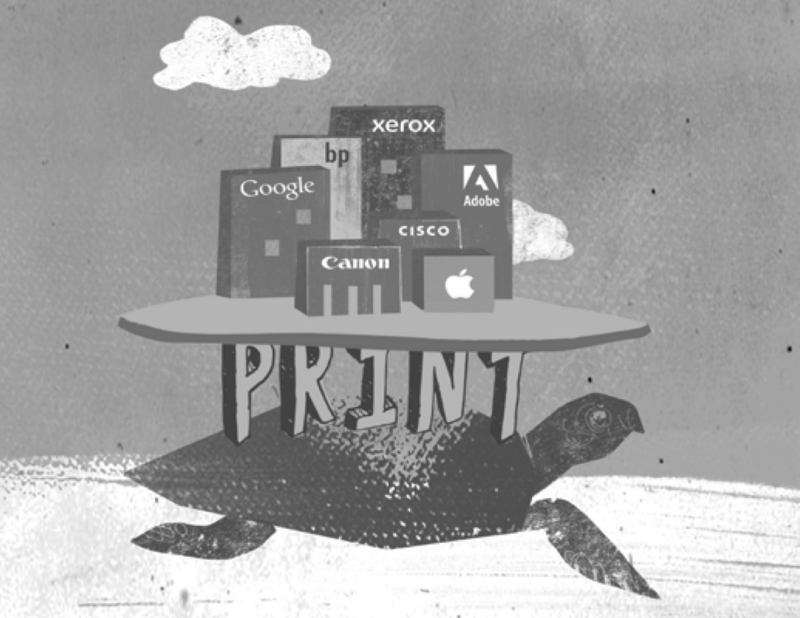 More than 30 % of commercial printers generate one fourth of their profit margin with digital printing services. But conventional printing (especially sheet offset) remains to be an important cornerstone for the industry. This is reflected by the reported investment intentions: in 2014, a total of 29% of all printing service providers want to invest in the area of sheet offset.